In the last months I did some more non-Oracle certifications and trainings to broaden my knowledge. Why should you follow non-Oracle training as an Oracle expert? You can try to become the best Oracle developer or dba by learning a lot about the Oracle database and the (development) tools. Everybody sees added value into that, isn't it? The more you know of Oracle, the better you do your Oracle job? I think that's only partially true. I believe having experience and soft skills are also important. Experience you can only build by doing your job and getting older (to bad ;-)). Some people have luck as they received at birth qualities that simplifies the learning of some soft skills, but even if you didn't receive it, you can still work on it. As a consultant for ex. effective communication, being creative and motivated, presentation techniques, customer oriented are skills that can be very useful. Something else that I think will become more important are the use of methods or best practices in your job. A framework can simplify your life and also let you be more structured. For the first group, ITIL can help a lot. Grid Control will be your Management Tool, but then when you suddenly get a red light! You have a problem... What will you do? How to handle it? How to do the follow-up? How to know it never happens again? And what will be the impact for the business? How you can handle that process is described in ITIL. 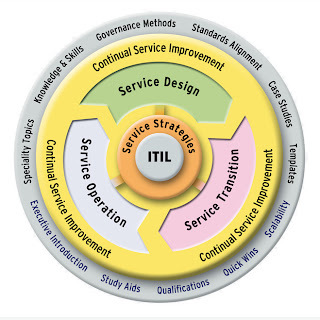 I know a lot of "Service Desks" using/or being based on ITIL nowadays... I think a lot of organisations will organize some (IT) departments, so that would also impact you (as Oracle DBA). For developers a useful method is PRINCE2. "PRINCE2 is recognised as a world-class international product and is the standard method for project management, not least because it embodies many years of good practice in project management and provides a flexible and adaptable approach to suit all projects. It is a project management method designed to provide a framework covering the wide variety of disciplines and activities required within a project. The focus throughout PRINCE2 is on the Business Case, which describes the rationale and business justification for the project. The Business Case drives all the project management processes, from initial project set-up through to successful finish." As a developer life would be a lot easier when you would exactly know what you had to do. A lot of projects don't have a project manager (or project board). Is it always needed? No, I didn't say that, but for every project you should have somebody who does the role of a project manager. When going through the PRINCE2 course/certification I found the set-up really useful. A project board with a Senior User, and Executive and a Senior Supplier. On the next level the Project Manager etc. A lot of projects are doing this maybe intuitively (I had that feeling), but having it on paper, made it more structured. In PRINCE2 I saw the different Processes, Components and Techniques. When you, as a developer, knows about all these, the team becomes more powerful and can go a lot faster, I think. My goal is to put some links to the forum that took my attention in the last week. Sometimes these posts made me laugh, sometimes they made me cry and some of them I found really interesting. APEX API - interface description: Some developers have a hard time to implement APEX in their environment. How secure do you want it to be? Loading images!!!! : How to ask a question? Or better how not to ask a question! Ofcourse the message was clear, but why so many !!! Generate PDF report with HTML data: How to display the content of a CLOB field containing html tags correctly in a pdf generated by BI Publisher. Blog or Wiki applications built using APEX: Carl Backstrom started with a wiki application here, but it's not yet finished. I started with a blog application which you find here, also not finished yet. Cookies and sessions: Apps must belong to the same workspace in order to be able to share sessions. 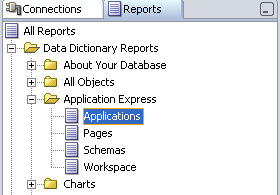 Creating an index of all pages in the application: It shows again that the APEX dictionary is very powerful but not that known at the moment. If you saw something in the forums I should have included, you're free to put a comment. 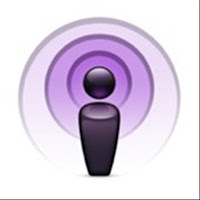 This morning I listened to a great podcast about APEX. Lewis Cunningham interviewed David Peak, Application Express Product Manager from Oracle and Peter Martin, working for a company in the EMEA automotive industry and APEX user. What are the key features of APEX? Why should we use APEX? You can start building apps in APEX next to the customer and agree on the layout (user sees what he gets), then start with the back-end. How to compare developing in APEX with Ruby on Rails? How is APEX used in your environment, Peter? 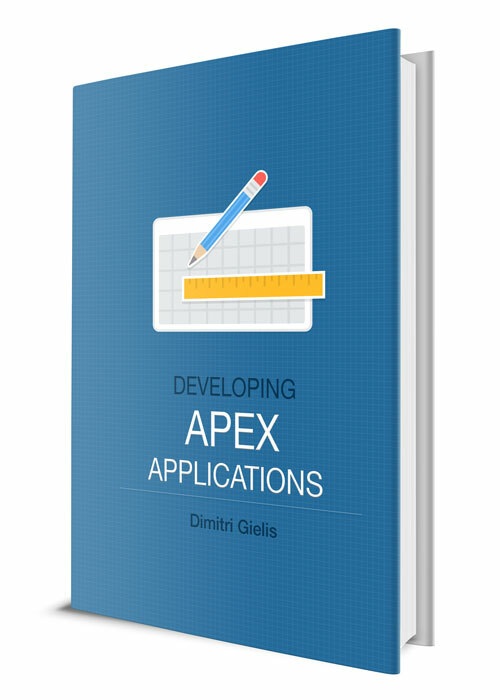 What are the challenges when developing with APEX? What is new in APEX 3.0 or are the highlights of this new version? Webservice capabilities: talk to Oracle BPEL for ex. What are other strong points of (developing with) APEX? Forums are a great source of information, the APEX forum is the most used forum on OTN!! What about the future and the integration of APEX with SOA? APEX has also Webservices and can integrate with BPEL, SSO etc. I believe APEX is getting more popular! Tom Kyte (and me too) says sometimes: "Every single day I learn something new"
If I change that a bit: "Every single day a new person gets to know APEX"
I already thought about it before and decided to finally do it after I read the System Stats strategy blog post of Jonathan Lewis. He states: "I don’t tend to respond to individual questions - it’s not an effective use of my time - so there has to be a good reason for replying." Tom Kyte also stated here: "If the question comes in email and is very very easy/quick to answer - sometimes I'll supply the quick answer along with my standard "please don't email me directly" quote I have saved as a signature. I cannot do it via email - I'd get nothing else done." In the last weeks I get a lot of direct questions about APEX in my mailbox. I don't mind questions, I really like them! It also shows that APEX is getting more used and it feels nice to get the recognition. If I answer a question through mail, only one person learns from it, if I answer questions in the forum everybody with the same problem can read my answer. I really would like to encourage people to post their questions in the Oracle Forums. Not only I'm answering some questions, but there're a lot more APEX specialists to answer them or who add their thoughts to the threads. If you believe I'm the only person who can help you (which I doubt), you can add "to Dimitri: ..." in the forum. When can you contact me directly? My Google Analytics account is also migrated to the new version (beta). I capture when somebody clicks to download my whitepaper, just to have an idea how many people are interested in that topic. The below images shows how many times my whitepaper was downloaded (from my blog). If there're some direct links to my whitepaper, then they're not taken into account. I like this new version of Google Analytics, but nevertheless I tend to keep my Statcounter stats too. APEX Evangelists, of which I am a co-founder, is very pleased to announce the general availability of our first Application Express European Training Days. The 3-day course, covering many different advanced Application Express topics, will be held from the 4th to the 6th of September 2007 at the exclusive Le Plaza Hotel in Brussels (Belgium). The training will be given by some of the most experienced APEX specialists in the world (and also perhaps a special 'mystery' guest speaker! ), there will also be a lot of opportunity for Q&A and discussion about APEX. It will also be a great opportunity for people to meet others in Europe who are using APEX too. (direct link to the registration page here). But when I read further, I think this Agile company isn't the same as the Agile methodology which I blogged about a year ago. If somebody else knows that this Agile company did make the Agile programming methodology, please put a comment. From June 18-21 in Daytona Beach Florida, a new ODTUG Kaleidoscope Conference is hold. I'm giving the same presentation at this conference as I did at Collaborate 07; APEX by Example - Shared Components (in DG Tournament). ODTUG is developer oriented where IOUG does it all. The Oracle Development Tools User Group (ODTUG) established Kaleidoscope as its flagship event with sessions covering all the practical technical information you need to excel in your job. What can you expect at ODTUG Kaleidoscope? More than 125 Technical Sessions with handouts—real topics, with real information, for real developers. No hired presenters. No fancy footwork. Just genuine colleagues sharing practical information. Two full days of preconference Hands-on Training. A full-day Oracle Fusion Symposium. An Oracle PL/SQL Test-A-Thon, developed by Steven Feuerstein and packed with great prizes. The Test-A-Thon is sponsored by Quest Software and O’Reilly Books. A one-of-a-kind Install Fest, where you will learn from the "gurus" how to install and configure Linux to run Oracle 10g software. APEXposed, an ODTUG exclusive "Seriously Practical" training event on Application Express. Unprecedented opportunity for networking with colleagues and experts at organized functions, on-site SIG Meetings, and more. I know! ... Another APEX meet-up (and something else that gets announced soon)! Can the embedded PL/SQL gateway handle SSL? : and yes is the answer! Open Source Flash Tools: It started with regular Flash and ended up with a discussion about Adobe Flex. We at AE are trying to integrate Adobe Flex with APEX. A result of that should be available in three weeks. When reading this thread on the APEX forums about Session State Protection in APEX, I found a good tip of Scott Spadafore. I didn't use this feature that much before, but it can be really useful to prevent users submitting the page more then once (for ex. when they hit the back button)! I just read Kris Rice blog about "New patch with APEX features". Kris is all into SQL Developer. SQL Developer is a great tool (addition) for any APEX developer. I use SQL Developer a lot... it prevents that you need to switch all the time between the Application Builder and the SQL Workshop in APEX. I suppose the reports are based on the APEX dictionary. As Kris stated: The only down side is that APEX 3.0.1 is required and it hasn't been released yet. Without any promises of Oracle... I heard we can probably expect this new APEX version at the end of May/begin June time-frame. As I already blogged before... a while ago I made a whitepaper about APEX Shared Components. From that whitepaper I made a presentation for Collaborate 07. The picture below was taken by John Scott a few minutes before I started my presentation. You can download my whitepaper from the IOUG website or from the Apex Evangelists site here (pdf of 3MB compressed). In July I'll present it again at ODTUG. I updated the whitepaper for Kaleidoscope 2007 (different lay-out, other images, less pages, ...). I'll make it available for you to download after the event. I hope you enjoy the whitepaper (there're a lot of pages!). If you have some suggestions to make it better, please let me know. ApEx vs ASP.NET AJAX: a discussion about what's better... the initial poster has also some things he would like to see improved. Authorization Scheme checking before login: Especially this sentence: "That loud noise you heard was me slapping my forehead and saying "D'OH"." Export Excel instead of .csv: another way of implementing the export to Excel (via html tables instead of separated file) - thanks to Denes Kubicek for this package - now available unwrapped. TRICK: Dynamic Item Help Text as Tooltip: instead of clicking on an item label to get help, this thread describes how to show the help as a tooltip. Handle ORA- errors: Already got a nice red box in APEX when an error occurred? this thread discuss how to solve that. 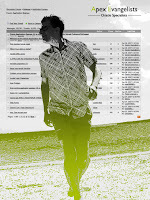 No content in files through BI Publisher: some have problems with the integration of BI Publisher and APEX. Some hints in this thread. This link at OTN shows you the details about the two day conference for Developers. Sometimes I get the question: "What about APEX in the future?"